Well, what a weekend of racing! 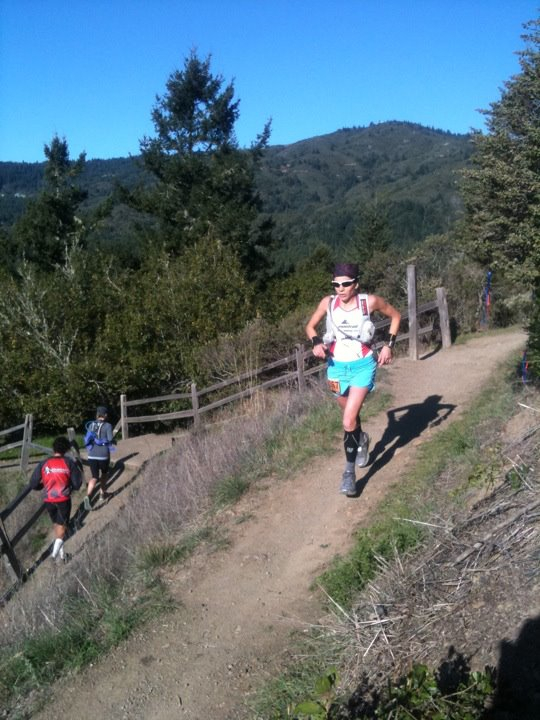 The worlds best descended on the Marin Headlands to go toe to toe in the final battle of what has been a very competitive ultra racing season. In near perfect conditions the racing lived up to its expectation, that this is one stacked field with Wardian, Roes, Meltzer, Bragg, Hawker, Frost, Wolfe, Jones etc and with $10,000 prize purse no one was going to hold back. The Mens race was again red hot from the start with Salomon’s Greg Vollet going hard from the gun in a leading pack of the best of the best. At the halfway mark it seems two runners were destined to battle it out with Mike Wolfe and Dakota Jones seconds apart with Roes, Wardian, Kollar, Campbell in hot pursuit. Shortly after Vollet dropped and Campbell started to pick up the pace. By the 45th mile Wolfe maintained a slender lead of only 10 seconds over Jones with Salomon’s Canadian Adam Campbell 14 minutes further behind. By the final miles TNF’s Wolfe was able to extend his slim lead to cross the finishing line in 6 hrs 19 minutes with Dakota Jones 2nd in 6 hrs 22 minutes and Adam Campbell 3rd in 6 hrs 34 minutes. The top 10 was rounded out with Olsen, Roes, Kaburaki, Bragg, J Wolfe, Foote and Schlab. In the Womens race all the attention was on Salomon’s Anna Frost and whether she had the fitness and tactics to hold off the likes of Montrail’s Ellie Greenwood and TNF’s Lizzie Hawker. Having spoken with Anna the day before she politely informed me that she only knows how to race one way. To go from the gun ! And it was clear from the other girls that she was not going to have it all her own way. As the early miles ticked over Lizzy Hawker had a small lead over Frost and Greenwood, but it didn’t take long for Frost to press hard and take the lead outright. For those out on the course and for those who have run with Anna, you can certainly hear her working hard. By the halfway stage she pressed the advantage to lead Greenwood by over 4 minutes and in the closing miles had put a winning lead into any possible late charge by Greenwood and Joelle Vaught. Anna crossed the line in 6 hrs 56 minutes with TNF’s Ellie Greenwood second in 7hrs 7 minutes and Joelle Vaught third some way back in 7 hrs 40 minutes. Even more remarkable was that Anna “chicked” a number of the worlds best men including Karl Meltzer to finish 12th overall ! A special mention to good friend and up and coming New Balance talent Jacob Rydman who finished 15th on debut, so watch this space as we are sure he is going to go far. In the battle of the nations and the brands, so order has been restored with the mens title stating this year in North America and The North Face recovering some lost ground to runaway podium getters Salomon. So what a finish to the 2011 season and if 2012 is half as good we are in for some awesome racing, amazing feats and the obvious new race records being set the world over ! Nice work Marcus….you had your summary up before I could turn on the iPad to check!!! An excellent day here in the Bay Area, too nice to stay inside mesmerized by the ‘net. So glad you enjoyed your day Phil, say hi to everyone and if you see Anna, tell her well done! That’s bangin! Solid winning times but a little surprised the front wasn’t more tightly packed at the finish. Men’s and women’s both 1,2 then loads of fresh air? I think it is the nature of racing Roger, go out hard and see if you can hang on. Look at Grant at Kepler yesterday. Once the field is cracked open it is really hard to claw back over that sort of terrain. 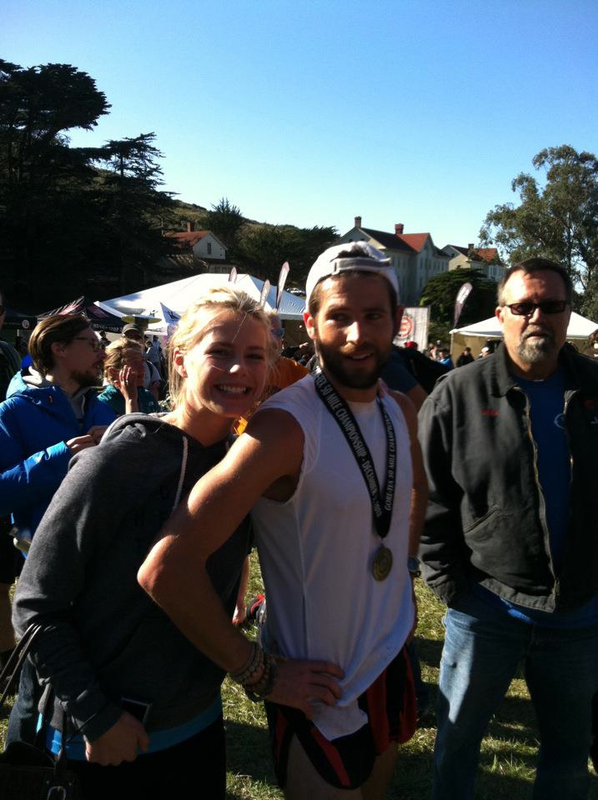 Thats what makes the 2010 WS100 so special. Anna is going to be pretty scary threat at Six Foot in 2012 ! Would love to see Anna have a crack at B2H. thanks for the shout-out guys! It was an epic race for sure, i mean, from the gun about 30 guys shot off the front and I thought to myself, “Are we running 50mi’s or a road marathon? 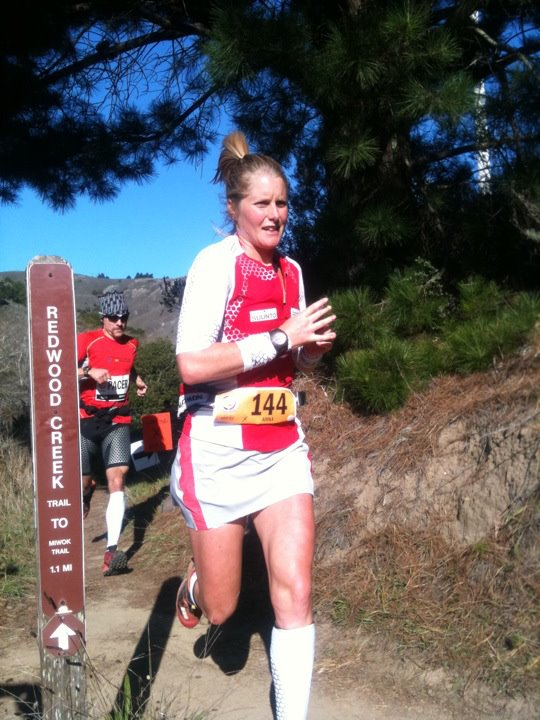 !” ha ha…… Any interest in coming next year for tnf 50? Thanks for the great coverage and insight.